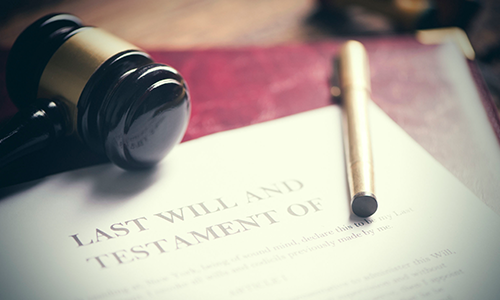 If your estate plan was based on a last will and testament, at your death your assets will go through the probate process before being distributed to your beneficiaries. This is a public judicial process that starts with the person you named as executor, or personal representative, appearing at the courthouse to be approved to act on your behalf. That person will be in charge of collecting all of your assets, paying your allowable debts, and disbursing your assets as dictated in your will. The length of time to complete the probate of a will depends, among other things, on the size and complexity of the assets, whether anyone contests the will, whether creditor disputes arise, and on the timelines set out in the court rules. If you fail to plan and you have no last will and testament, your assets will pass by the intestate procedures set out in state law. This also is a public judicial proceeding and involves many of the same rules as a probate of a will. However, you have no control over who receives your assets or in what proportion. While some people named as executors or personal representatives attempt to go through the probate process without help of a professional, they usually lack an understanding of the rules, the filings required, their fiduciary responsibilities and how to fulfill them. This can cause unnecessary delays in distributing assets to the beneficiaries, hard feelings, and extra costs. The Fairfax County Commissioner of Accounts www.fairfaxcommissionerofaccounts.org, under the “Estates” tab, is an excellent source for more information on probate in Virginia.